Outdoor living spaces improve your quality of life. They can also boost the value of your home. This is especially true in Houston, where a housing shortage has pushed new home prices out of many people’s budgets. “Demand for homes has continued to grow, depleting inventory and pushing home prices to new heights,” writes real estate reporter Nancy Sarnoff in a May 14, 2014 Houston Chronicle story. In response, Sarnoff reports, many people are staying in their existing homes – or renting in dwellings meeting immediate needs for space or proximity to work – till home prices become affordable again. For those who feel stuck in their existing homes, we ask: “Why not just remodel instead of buying new?” And of course, we think outdoor living spaces are a wise, enjoyable investment. First of all, there’s the “quality of life” component. Outdoor living spaces can also increase the value of your home. But experts agree – they must be well-designed to recoup 100 percent of the cost. At least that was the point made by New York-based real estate appraiser Jonathan Miller of Miller Samuel Real Estate Appraisers in a June 21, 2013 Wall Street Journal article on outdoor living spaces. 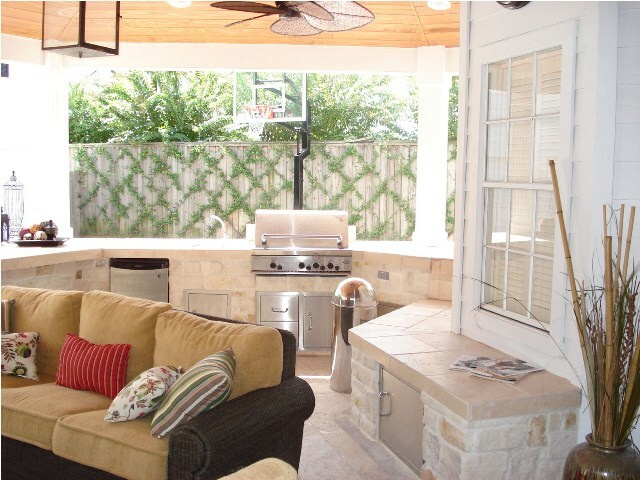 And by the Hearth, Patio & Barbecue Association, which in this article on outdoor living spaces, especially recommends incorporating commercial-style grills, gas hearths, mosquito eliminators and propane outdoor lighting and patio heaters. 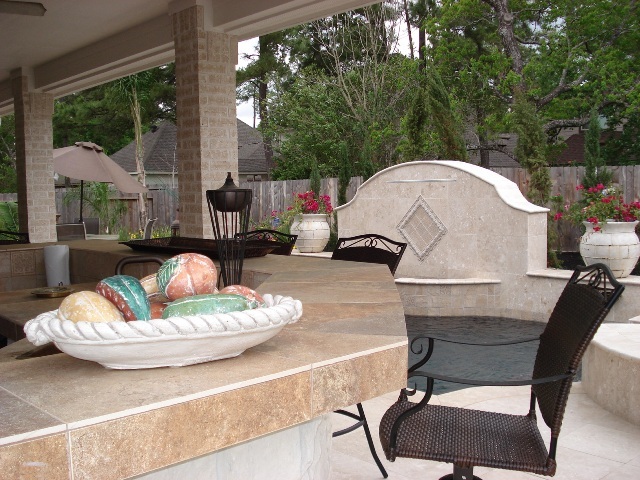 If you’re looking for high-quality outdoor living space design in Houston – well, that’s where we come in. We here at Outdoor Homescapes of Houston pride ourselves on having an in-house design team. First, we offer state-of-the-art 3D graphic renderings and virtual video tours that allow you to see your project from every angle before it’s built. Second, an in-house design consultant works with our clients throughout every step of the design process, helping them browse our image libraries and coordinate colors and finishing materials. And finally, our top-notch outdoor space planning ensures your outdoor kitchen, covered patio or other outdoor living space not only looks good – but functions well. For a look at our design work, check out our outdoor living spaces on Houzz. Or, contact us so we can design and build one for you! Have outdoor living spaces have improved your quality of life or your home’s value? If so, what are the most enjoyable elements for you? Leave a comment and let us know! 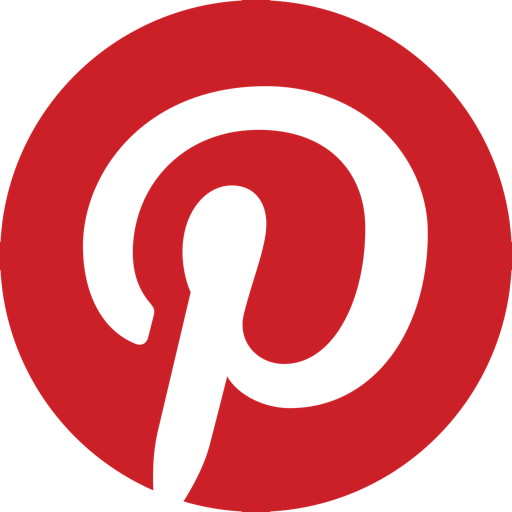 We’re always looking for ideas and feedback!